Online games, game play and gamification are some of the most exciting growth industries of the 21st Century. Online casino games are particularly affected by all these developmental areas, and tend to show the results of these technological developments with enhanced games and online play. In order to prevent confusion and overlapping game development it is essential to maintain an excellence in clarity regarding the different games and options available. With new stuff appearing online almost daily, communications are going to be key is explaining and helping people understand all the new, and different offerings available. Today we deal with blackjack and pontoon. Pontoon is the British version of blackjack, with some minor, yet considerable differences. Pontoon is an oft overlooked game, such is the overwhelming popularity of blackjack. Mobile pontoon casino games are nevertheless worthwhile knowing about, because they are most certainly an excellent range of casino games that many would argue are even more fun, and lucrative, that the American counterpart. Very importantly for online consideration is that blackjack and pontoon are both essentially simply games that are perfectly suited to casino play, and the reason for their popularity. This simplicity makes both these games ideal for online play, and as we have seen of late, even more ideal for mobile play. The differences that favour pontoon are the odds paid out by the casino. In blackjack, a hand with an Ace and a ten or picture card, pays 3:2. In pontoon, this self-same hand pays 2:1. In blackjack using 5 cards to score 21 or less is simply a 5 card hand, but in pontoon, this is termed scoring a 5-card trick, which is the second highest possible hand. Only beaten by the winning hand of pontoon, the Ace and picture card. The pay-out in pontoon on a 5-card trick is 2:1. Mobile and online pontoon players should also note the terminological differences. In pontoon, when players want another card, they do not ‘hit,’ they ‘twist’. Staying with the cards in hand is not standing, like blackjack; the term in pontoon is sticking. Blackjack and pontoon have the same objective, which is to beat the dealer. Both are based on a score of 21, and enjoyed as two of the most popular casino table games. Both these games provide players with some of the best odds available in the casino. Players add up the face value of their cards with the aim of getting as close to 21 without going over. As stated, it is absolutely key to remember at all times that the objective is simply to beat the dealer. The assigned values in both pontoon and blackjack are based upon standard card values, and this is that number cards are their equivalent value in points and all picture cards are worth 10 points. The ace can either be worth 1 or 11 points, as required. Suits play no part in either game. 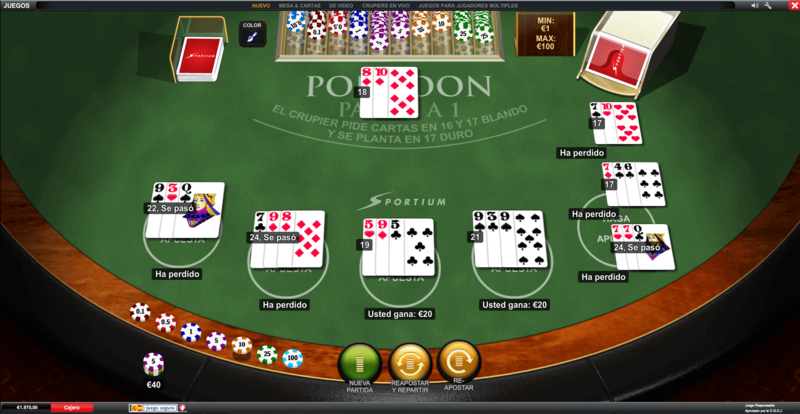 The differences between pontoon and blackjack start with the dealers’ cards. In pontoon both are face down, whereas in blackjack NZ only one is face down. This does make decision-making a tad trickier in pontoon since there is no indication of the strength of the dealers’ hand. Also, in pontoon, the dealer wins all ties, whereas in blackjack the player wins in the event of a tie. Previous: Get Sparkling with the Slots Royal Jackpot!